How does the hot end mount to the underside of the Orion in each application? Thanks. I found the model and leave its link here, may be it will be useful for somebody. 3. We have someone who is willing to make a 3d model of the unit, we just have to get one to him. I will get the dimensions or a drawing and link to it asap. Idris is running the company now as I have had to take time off due to family commitments. Thanks. Detailed 3d model will be very handy or at least an exact drawing. It mounts via the clamp, which is attached to the upper part with 4 screws. Thank you! I just installed an Orion on my main 3D printer and it's working great. Looks really good, glad you're happy with it. Well I guess this goes some way to answering the question of how much weight can you hang from it? Be keen to see how it does long term, they're fairly tough. I'm somewhat surprised that it's working well with so much additional weight hanging off the hotend, I'd want to mount anything I could from the carriage rather than the Orion. Where do I find the stls for the groove mount setup. My groove mount broke last night so I need to reprint it. Thanks in advance for the help. Hello @pogo1213 . Is it the Orion groove mount STL you want? If so, I can provide that and also a modified version that I am currently using because the original did not fit well and was also too flexible. Hi, there are any news on the chimera mount? @hevilp Chimera mount is out with beta testers at the moment but I haven't heard back from them yet. I've just uploaded the prototype Chimera/Cyclops+ mount, I'd welcome your feedback if you try it out. @moriquendi I'll have to wait for the couplings to arrive in the week (just ordered), so will let you know how it goes, thanks! How do I mount it? Which X-carriage is neccessary? Can you show a picture? Which is compatible with the chimera orion mount? @hevilp I couldn't find anything for a Hevo when I looked, so am working on something. Parts are printing currently so I'll let you know when I've had a chance to test. I don't know of any carriage for the HEVO that is directly compatible with the chimera mount. 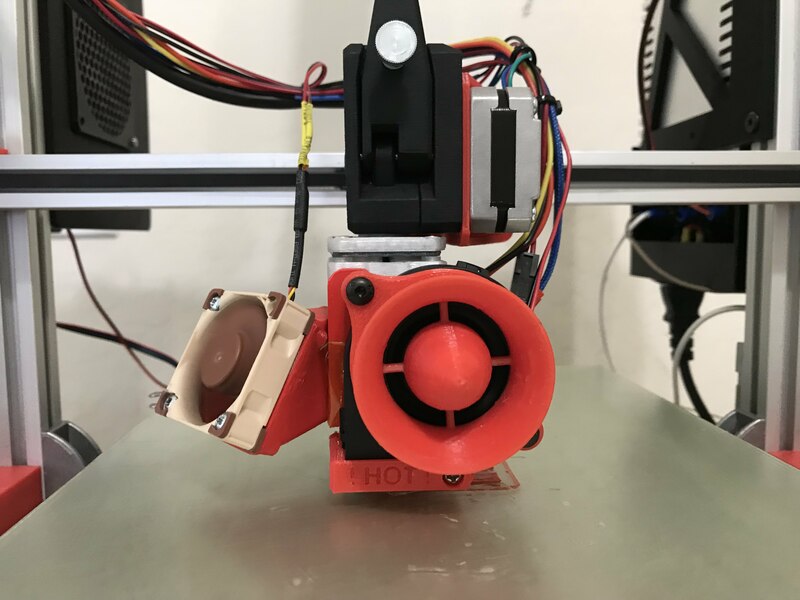 It's not possible for me to develop integrated mounts/carriages for every kind of printer and hotend combination. I try to develop parts that can be easily adapted to specific printers. @keyz182 I got the chimera+ , you got the chimera "old" or? @hevilp I have Chimera+. I believe the mounting points are the same in aqua and air, so you may be able to use this.